These are really handy for anyone with a child in a stroller. Just think how many things are thrown or dropped from your little one’s buggy, that you have to repeatedly pick up or worse, lose forever. 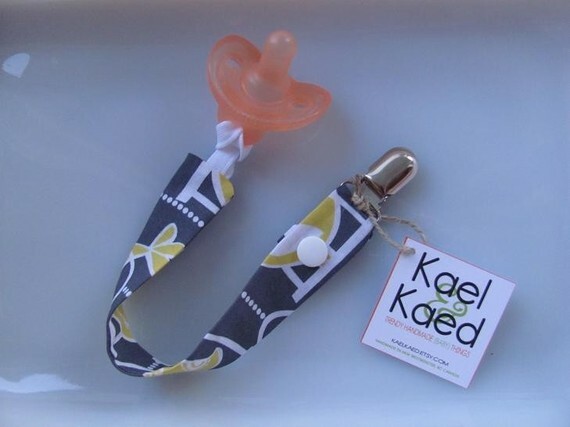 Kael & Kaed Designs have come up with the cutest fabric straps and clips to keep everything on board. With a fabulous choice of fabrics, including organic ones, these are such a useful and fun addition to save you time, effort and money! Canadian mum-of-two Tasha set up the range earlier this year and has been growing her business ever since. 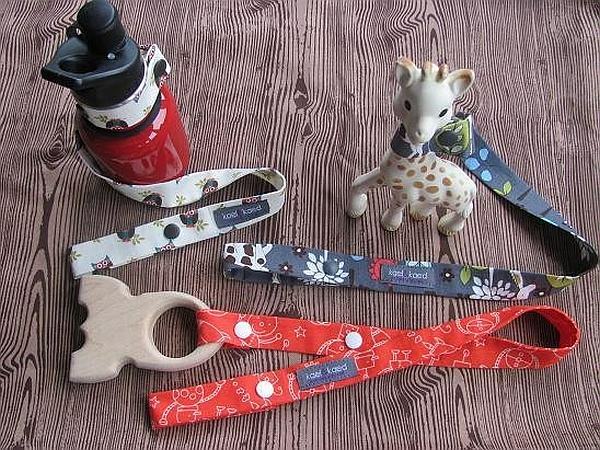 The straps and clips can hold pretty much everything from favourite toys to sippy cups to blankets. You can buy them ready made (all handmade of course) or even customise your own – choose your material and Tasha makes it. All the details are on her lovely Etsy shop. Prices starting at US$8 plus shipping.